An example of Mac full install. 1. I used Safari to download the most current NMCollectorJE forMac.zip from the NM Collector JE Downloads page ( http://www.nmcollectorsoftware.com/downloads/ ). 2. 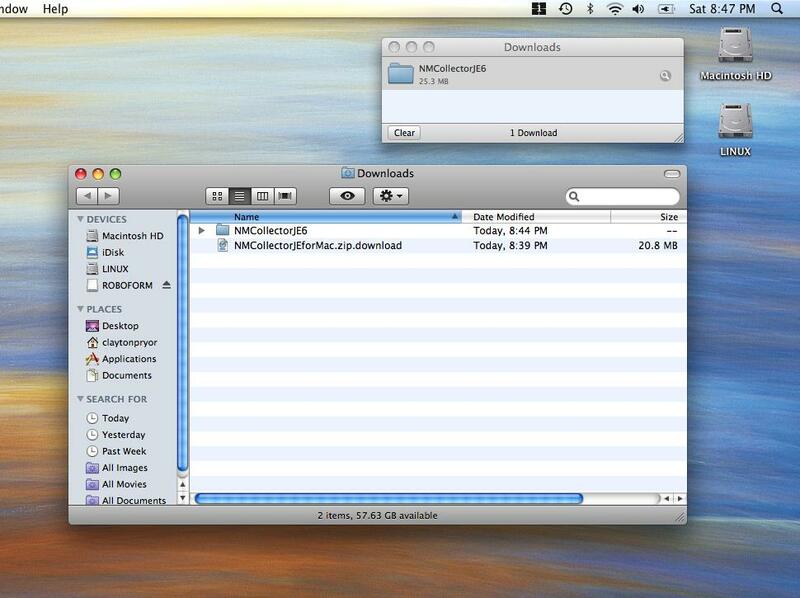 Here is a picture of the file as it is downloading. 3. Here is a picture of the completed download. At this point I clicked the little magnifying glass icon that says "Show in folder" when you hover your mouse over it. 4. This opened the downloads directory on my Mac. 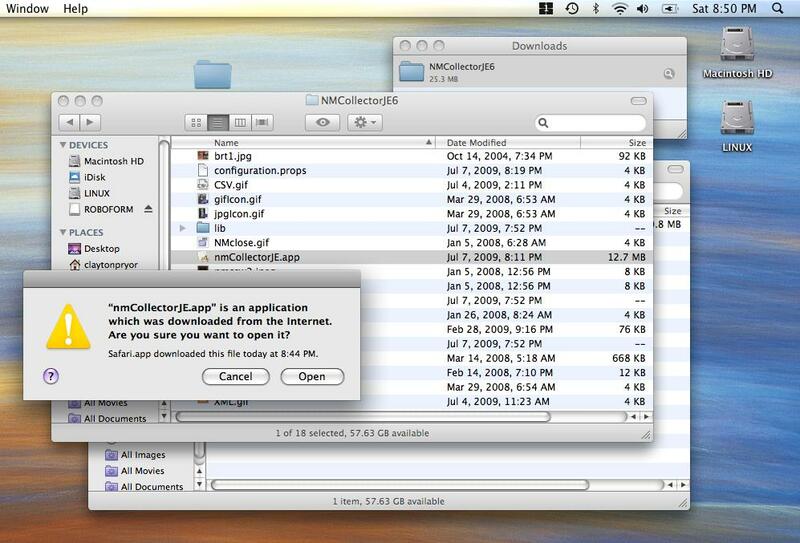 You can see that the NMCollectorJE6 folder was automatically extracted from the NMCollectorJEforMac.zip. 5. 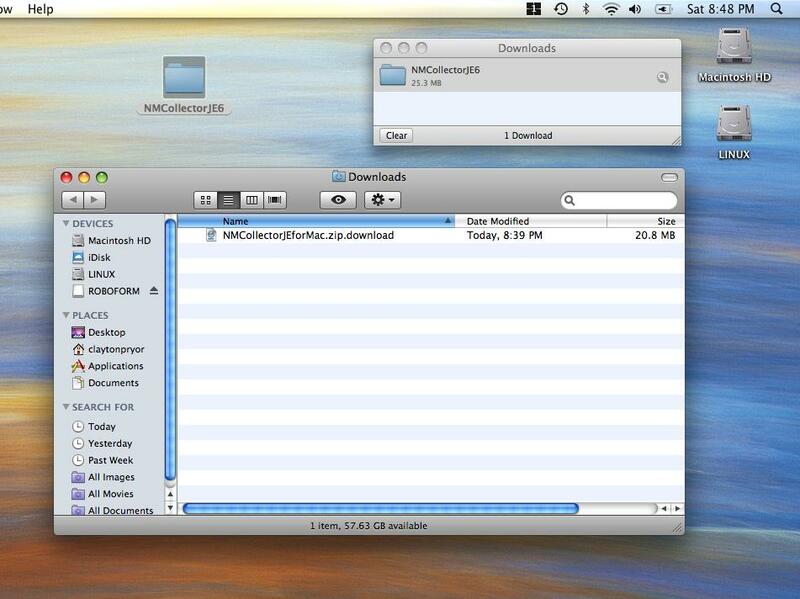 Here I dragged and dropped the downloaded NMCollectorJE6 folder to my desktop. 6. I then opened it up and located the nmCollectorJE.app file. Double clicking this starts the application but first a warning is displayed that this application was downloaded from the internet. I clicked OK to run it.